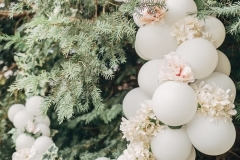 My first ever photoshoot and I am very happy to say that it was published in The English Wedding Blog and featured on their website 3rd November 2018, so keep an eye out for the article! 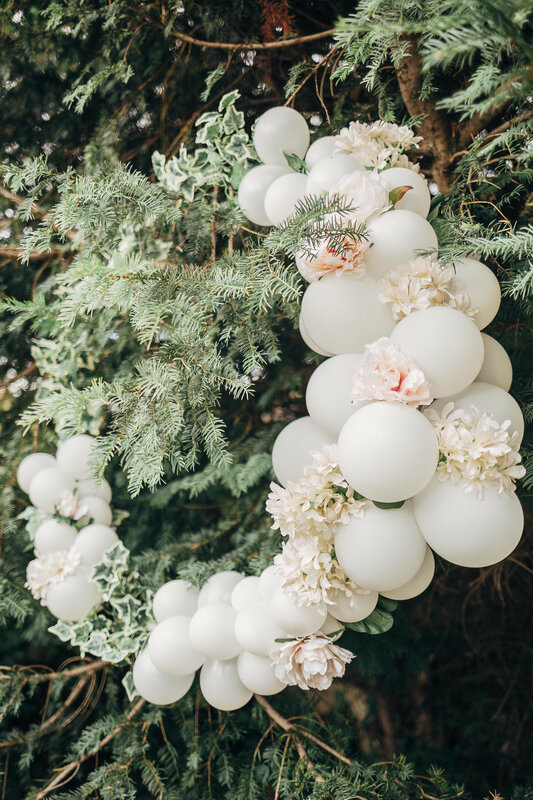 It’s very exciting for The Glitzy Balloon Company to be featured for wedding balloon styling, as I used bespoke balloons to fit the decor of a country manor house. I’m hopeful it will be the first of many published photoshoots! It was an amazing day, I thoroughly enjoyed collaborating with such a creative team of Kent based suppliers, I would highly recommend them all to you. 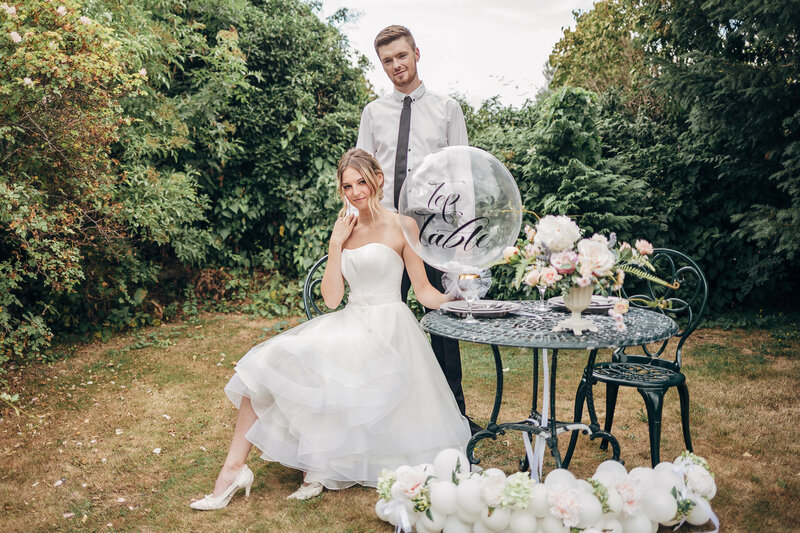 The venue Nurstead Court, Meopham, Kent, boasts a heady combination of breathtaking views and laid back country house glamour, so it was the perfect location. 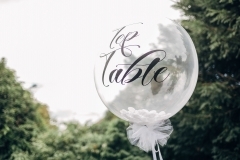 It is a friendly, family run, exclusive use wedding and events venue and not too far from London for a small and intimate wedding. 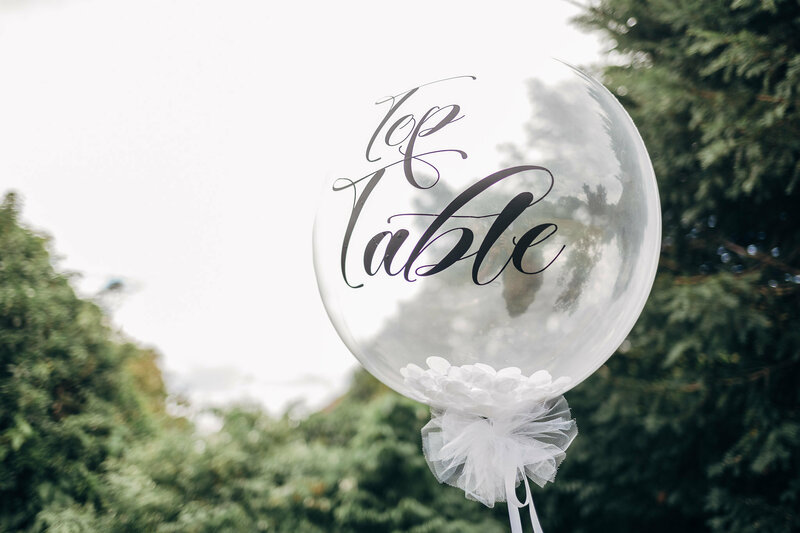 Nurstead has a beautiful library so the creative director, Gwenda at Bohotanical, used The Notebook as inspiration – hence using ‘Noah & Allie’ on the stationery! 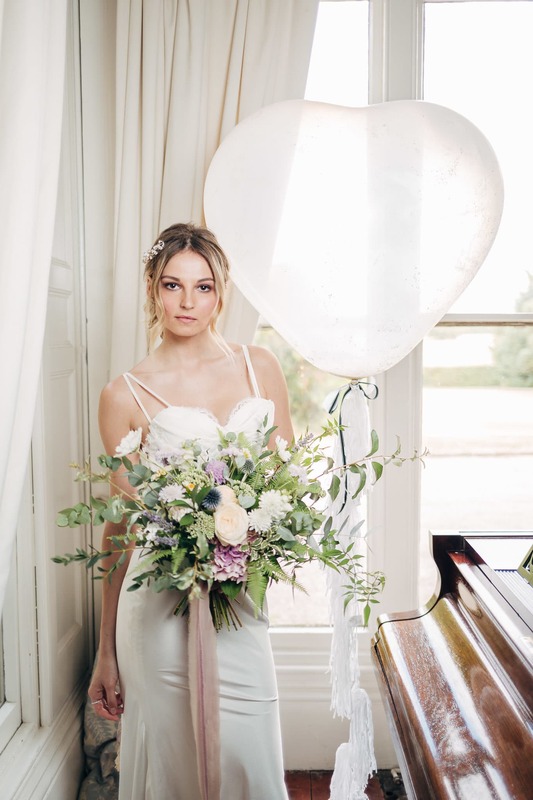 We had the lovely Petra Ashby as our bride for the day, modelling three different dresses to create distinct looks, all with their own details and flowers. Later in the afternoon her partner arrived for those perfect couples photos just as the sun was setting. This was a great day and the chance to work with some very talented people. I hope you enjoy the pictures! Venue: Nurstead Court, Flowers and Styling: Bohotanical, Cakes: Ever After Wedding Cakes, Stationery: Made by Rae Designs – Bespoke Wedding Stationery, Ribbons: Cfleursdesign, Favours: The Gilded Fern, Hair & Make Up: Aston Davies Makeup Artist and Beauty Therapist, Hair Accessories: Lorna Green Bridal Accessories, Dresses: Diana Elizabeth Bridal, Shoes: House of Elliot, Balloons: The Glitzy Balloon Company & Personalised Gifts Group.